Rap royalty and "real" royalty had their worlds collide during tonight&apos;s Cavaliers-Nets game at the Barclays Center in Brooklyn. 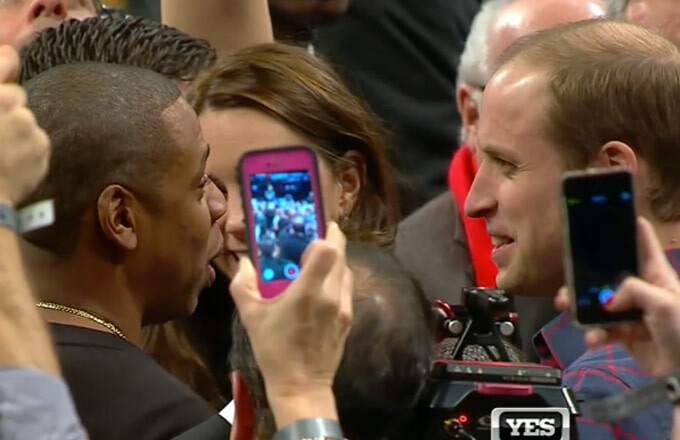 During a timeout, Jay Z and Beyoncé got up from their courtside seats to greet Prince William and Kate Middleton, who were also in attendance courtside. 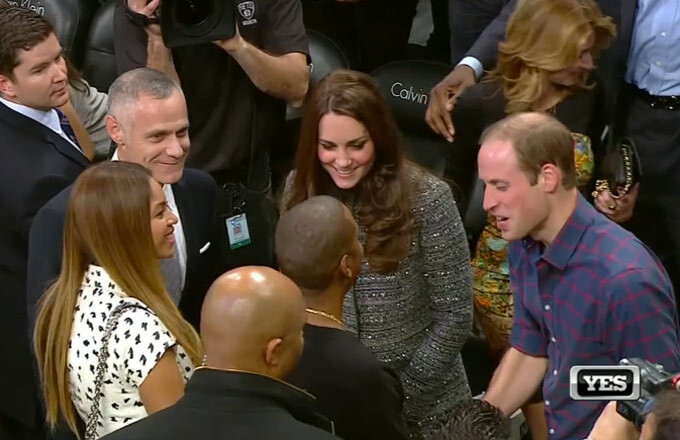 The Duke and Duchess of Cambridge exchanged royal pleasantries with Hov and Bey, who looked equally as thrilled to come face-to-face with fellow royals. Check out the videos and pictures below of the quick meet and greet. As far as how the game went, Bey and Jay were really impressed by LeBron James tonight.